Today’s post is about a journey of attuning, aligning and anchoring Love into the Earth, the higher dimensional golden grid of Gaia, through a specific lightship, the Meri’Ashar, which translates on a primary level as Mary’s Star. This journey is also an example for sharing how Love expresses and works through numbers, sacred geometry and the flower of conception & rebirth, that took place on 4 days, during 4 consecutive weeks. 4+4=8, the number of Infinity, and 4×4=16=7, which has been called the number of God/Source…and the number 7 is involved in this particular attunement, as an expression of the Meri’Ashar. The Crystal forms the central Wand, with the Twinned golden helix spiralling around it, the wings of Angels above (ascension/inscension) and tipped with a sphere representing infinite creation. You’ll see how these elements relate to the ‘journey’ in a moment. Firstly, for those unaware of it, this will make more sense if you know ‘Ashtar’ is a 5D soul aspect of the Soul who has ancient aspects/expressions on Earth remembered as Thoth (Djehuti/Tehuti to the ancient Egyptians)/Hermes Trismegistus/Mercury…and the caduceus is a sacred symbol with many levels of meaning. 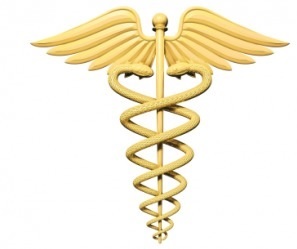 Because of its association with healing, it became the emblem of Medicine in modern times, yet at a deeper level is an expression of spiritual alchemy, ascension, resurrection, divine encodings of Life. As this alignment journey had 4 parts (with my dear Earthly mother as companion on seemingly ‘spontaneous outings’ to locations near Perth, Western Australia), we’ll put this in the form of 4 parts, so you can follow the thread. Here’s a map for reference. 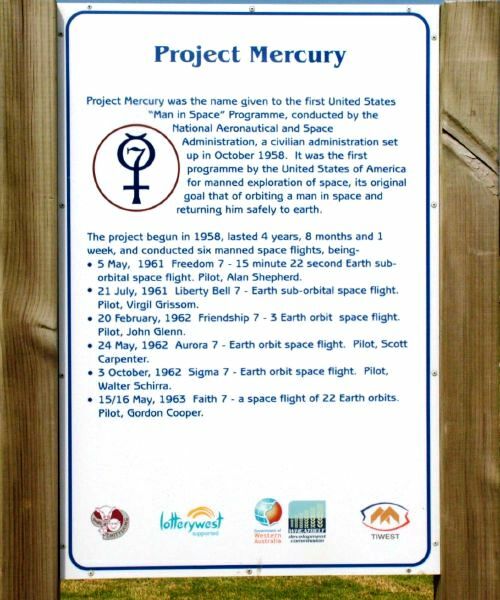 There were 6 flights, all named ‘7’, the last being ‘Faith 7’, piloted by Gordon Cooper – who I had just read about regarding public statements he gave before he died, of his sightings of extraterrestrial craft. 6+7=13, and Muchea is 13 kms from Bullsbrook. 6×7=42, and 42 is the ‘number with which God created the Universe’ in the Caballistic tradition, and was connected with transition from ‘life’ to ‘afterlife’ in ancient Egypt (42 precepts of Ma’at, 42 Judges of Osiris), as well as being the number of channels of energy flowing from the heart, the IB, in the Egyptian knowing of the heart as seat of the soul. 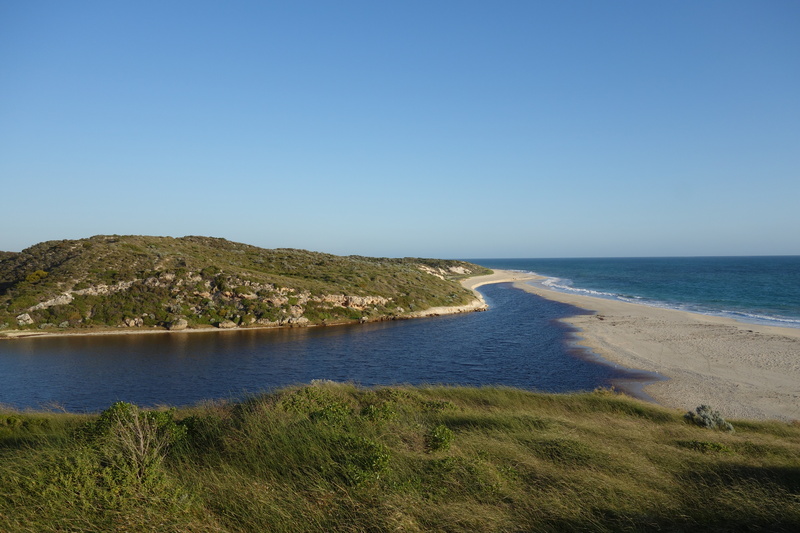 And the high energy charge of standing on a node point of the songlines on a hilltop at Guilderton, a site where the Aboriginal tribes of that region met and did ceremony for the sacred spirits and songlines (their name for the ley lines, the energy pathways in the land left where the ancient creator beings – the wandjina – walked). 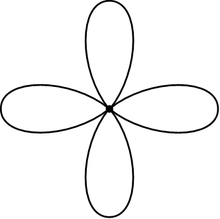 In the rose cross, each Infinity sign has 2 loops, repeated at 90 degrees/right angles to make 4 (9 is the Angelic number, the number of completion, so we could call these the ‘angles of angels’). Bullsbrook, 13 kms from Muchea, is also significant vibrationally (which you can read about in this post and on the Shem Arua page) in terms of ‘grounding’ Ashura & my soul light, and after seeing the pyramid at Muchea, I felt/heard to look up the distance from Perth to Bullsbrook by the most direct route, and found it is exactly 42.7 kms. 42=6, thus we have 6.7 (6+7=13 & 6×7=42) …so you can see how precise the convergence is multidimensionally, while anchoring the higher frequencies (which by the way, every soul on Earth who has an open heart filled with love and joy is anchoring in their own way, whether they know it consciously or not). Later that day, an email arrived in my inbox with a line in it about the ‘Legend of the 42 Books of Thoth‘…which we’ll return to shortly…. 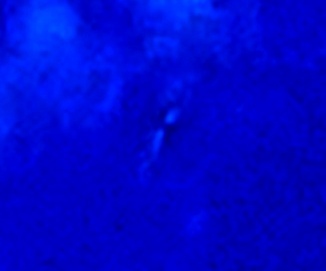 On the Meri’Ashar page there are some photos taken on September 6 which were the first visual ‘heralding’ of the ship’s imminent return, in the form of a heptagonal (7-sided) lens flare with a ship flying beneath that guarded her ‘Earthward’ path (6&7 again, the 13 and 42 vibrations). This is one of the photos, showing a long white triangular ship (with Carian beings on board, under the guidance of Heru-ur/Horus). 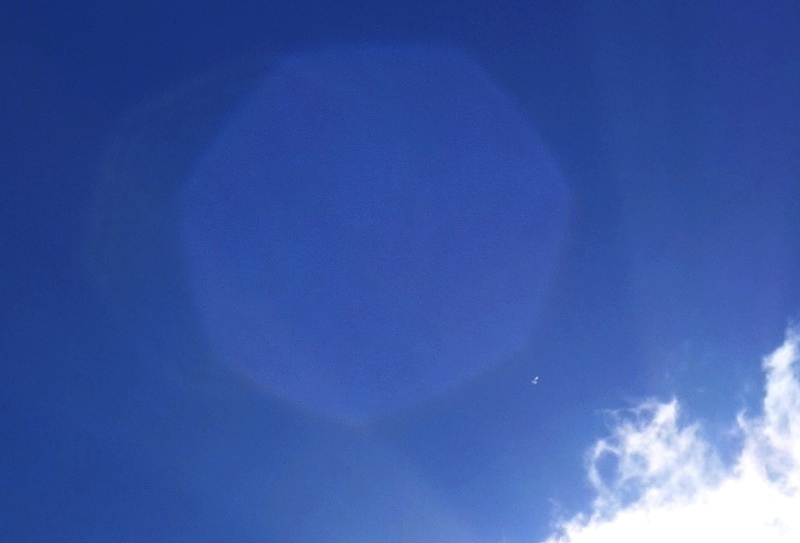 Carian (birdlike beings) lightship flies below a heptagonal lens flare, September 6, 2016. That sighting relates to a beautiful event at Lesmurdie Falls, a 100 metre waterfall in the hills a little south of my home. 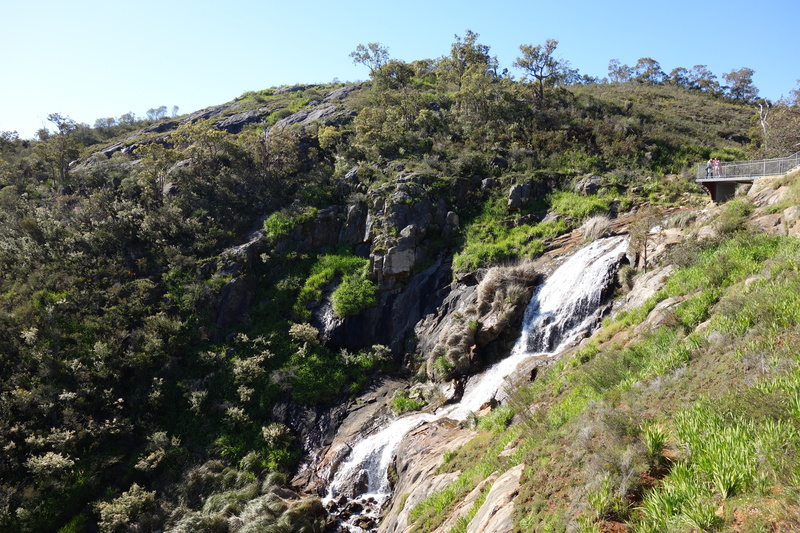 This waterfall has a node point in a small, deep pool at the top of the falls, a crossing point of an east-west ley line over the great line that runs north-south under the Darling Range and further. 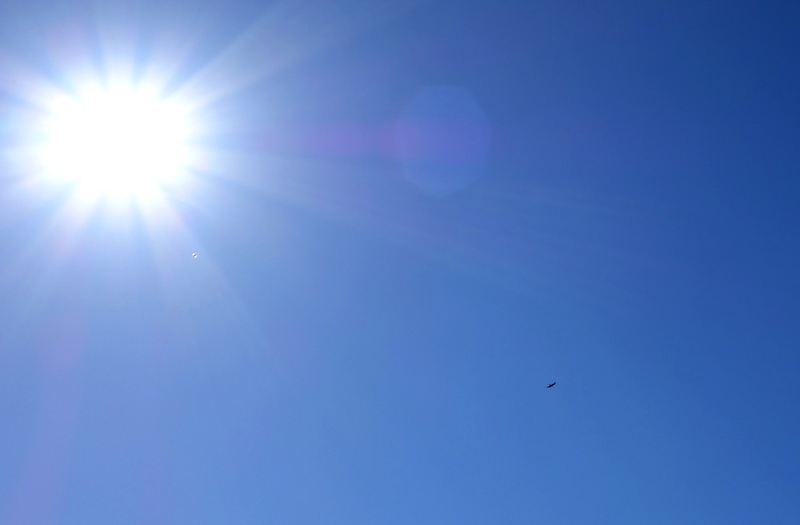 While standing on the lookout over the waterfall, doing a meditation, grounding Love and holding a vision of the Meri’Ashar, a hawk flew straight overhead, arced up toward the Sun until it ‘disappeared’ in the sun’s rays, then curved down again…and the second heptagonal lens flare I have ever photographed appeared where the hawk flew…oh so Horus-and-the-Sun. The third part of this journey took us further south in the hills, to a Botanic Park named Araluen. Along the way, we stopped apparently ‘randomly’ for a wildflower roam in bushland near Pickering Brook. My (inner) eye was drawn to a large patch of a flowering creeper with white cross-shaped flowers. I heard/felt both ‘Four is Love’ and ‘Mary’s Cross’ in the vibrational form of this flower, and felt many beings and nature spirits in that spot. An online search later revealed this flower to be of the Clematis family (Clematis aristata) and I read of a legend of Clematis connected with Mother Mary, that she and the infant Jesus took shelter under a Clematis during their flight to Egypt, so the flower was called Virgin’s Bower. 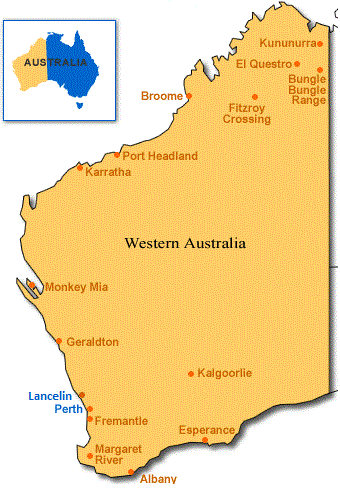 In Australia, this plant grows on the eastern coast and has never been officially recorded as growing in Western Australia. But here they are, and here are some of the many nature spirits and beings present among them. 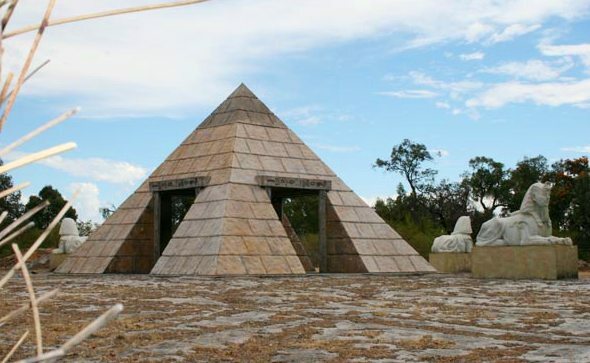 We (Ashura & I) anchored the Meri’Ashar‘s star energy there, then again in the valley of Araluen beside a pool, using a visualization of 42 streams of light intertwined, flowing through into the planet/planetary crystalline grid. The final stage of this alignment took place on a lovely property I had heard of but never been to, called Peace Be Still, in the Chittering Valley. Again, this trip took us firstly through Bullsbrook. 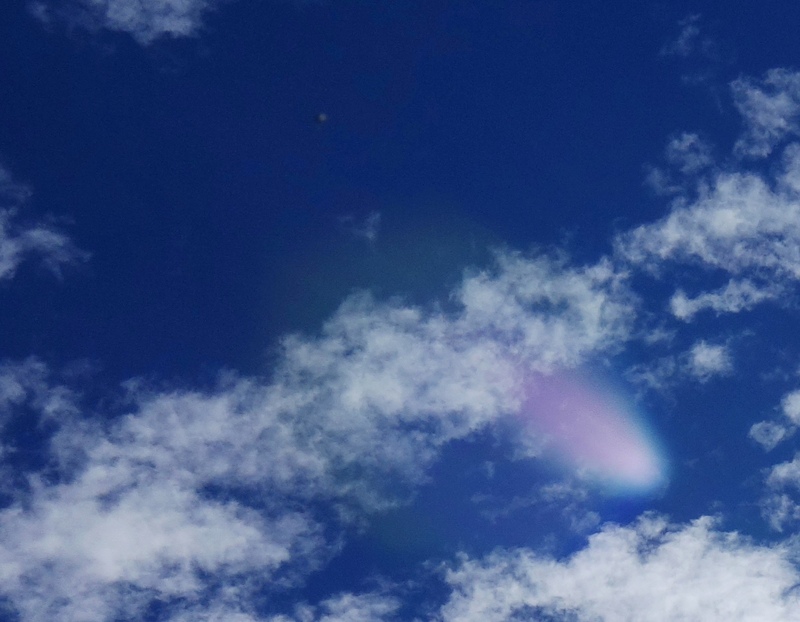 We’ll revisit the meaning of the Bull in a galactic, metaphysical sense soon, but see this post for photos of lightships from the constellation of Taurus the Bull, including Aldebaran, the Hyades and the Pleiades. 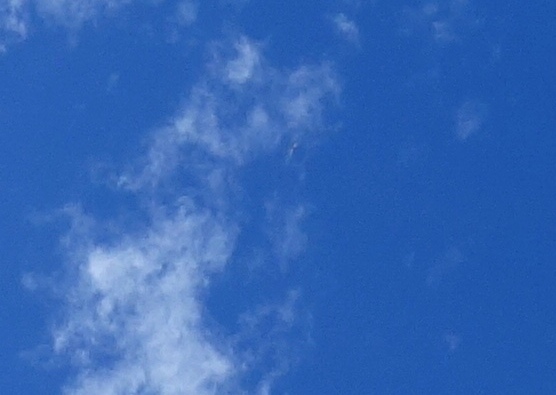 The long, cylindrical Pleiadian ship below had appeared over my home the previous day, October 10, with a heads-up that this ‘mission’ would complete on the 11th. (11-10-2016=3, the Trinity/triquetra energy). 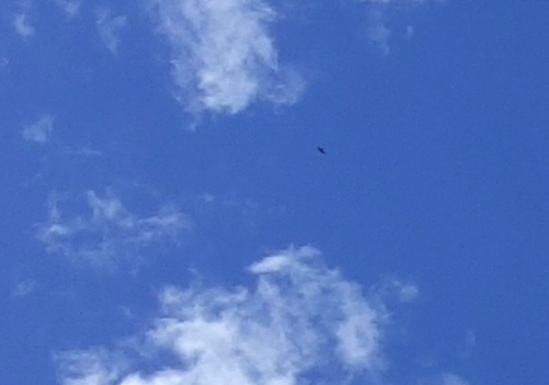 Pleiadian ship, the Rut’ish, directly overhead on October 10, 2016. Ashtar had been in my dream the night before, and the words ‘The Legend of the 42 Books of Thoth’ flashed in, on seeing the word ‘Legend’ on the sign…and reading down the list, the Stations of the Cross and the Garden of Gethsemane (where Jesus, soul expression of Sananda on Earth, had walked with his companions, and been on the night his arrest, prior to crucifixion). As I walked up the hill toward points 6 & 7 on the map (=42), a ship flashed brightly and ‘decloaked’ fully right above the guesthouse marked at point 6 on the map. 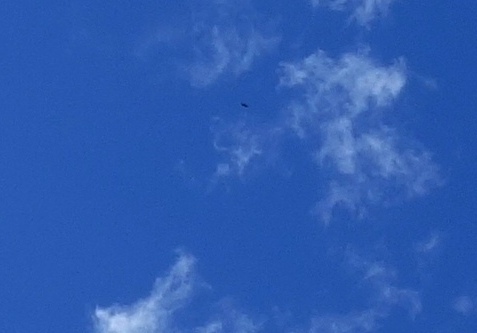 Hyadean & Pleiadian ship above Peace Be Still, October 11, 2016. Downloading the photos later, this ship appeared in 7 frames, until it was above point 7 on the walking trail, then disappeared from physical sight. At the 7th point there is a labyrinth made of coloured glass bottles, rainbow-like, around a heart-shaped stone in its centre. Standing at this heart-point, we (Ashura & I) anchored our Flame, through the purple Mary’s Star, into the earth and through the planetary light-grid. With the group focus of all the beautiful souls on board the Meri’Ashar, we sang in (Arcturian) words of bringing the Love to Earth, completing, fulfilling the planet’s shift into higher frequencies in joy, peace and grace. Continuing on from Peace Be Still, the neighbouring property proved to be Golden Grove. The day was completed with these flowers, Blue Leschenaultia…bringing the sky to ground, the divine masculine and feminine (air and earth elements) united, blossoming. 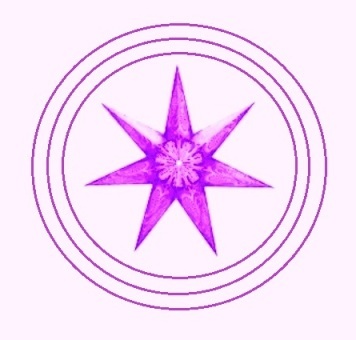 Within the 7 point star, there is a flower of 7 petals, with 7 smaller petals inbetween = 777, number of Spirit, around a white light point – the Source centre – in the middle. 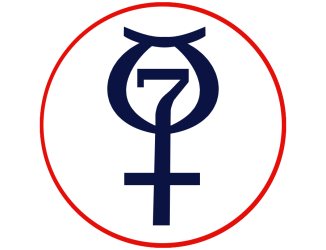 777 = 3×7 = 21 = 3, the Divine Trinity of the triune flow of Father-Mother-Child-in-One energy dynamics, forever seeding, blossoming and fruiting into creation across all dimensions. The word and feeling of conception came forward, the number and geometry of new creation flowing from the Source. On the morning after the 4th part of this journey, I woke to something touching my foot in bed, and found it was a tiny raw crystal, measuring 4 millimetres long, which brings us back to the Four is Love, laying the foundation for the 5th and higher frequencies through the Rose Cross, the Double Infinity, the 2-in-4, the 42…. He and Sesherat (Seshat) wrote and compiled the records of all the geometries, the measurements, equations of life, the sacred harmonics of life, and the records are indeed maintained within a certain sanctuary…and within All-that-Is. They are written, and live, in the sacred streams of Light that spiral within our physical beings through the RNA and DNA twinings. Although the light spirals can and have been distorted, spliced, manipulated by some…ultimately, the golden harmonic imprint always realigns the energies within creation to the Source. Can you feel the wholeness deep within you, and keep aligning to and through it, as it continuously embraces and flows through you? With so much Love to you all. Keep steady. Stay the course. A friend asked recently why there is so much ‘UFO activity’ along the 33rd parallel south (meaning the line of latitude 33 degrees south of the equator). I was already aware of 33 being a significant ‘vibration’ both personally and in terms of star family contact. I gave birth to a child at 33 years old, and for me, it was a moment of unveiled pure connection to the universe that changed my sense of life and perspective, a moment which in hindsight initiated the inner path ‘back home’ into my own divine consciousness and truth. 33 is also connected with the only time I have photographed the Shem Arua (lightship my 5D soul aspect and Twin Flame have been on together) fully decloaked, in the photo below, taken from a restaurant on the 33rd floor of a Perth city building that I hadn’t been to since the age of 17, 33 years earlier at the time. 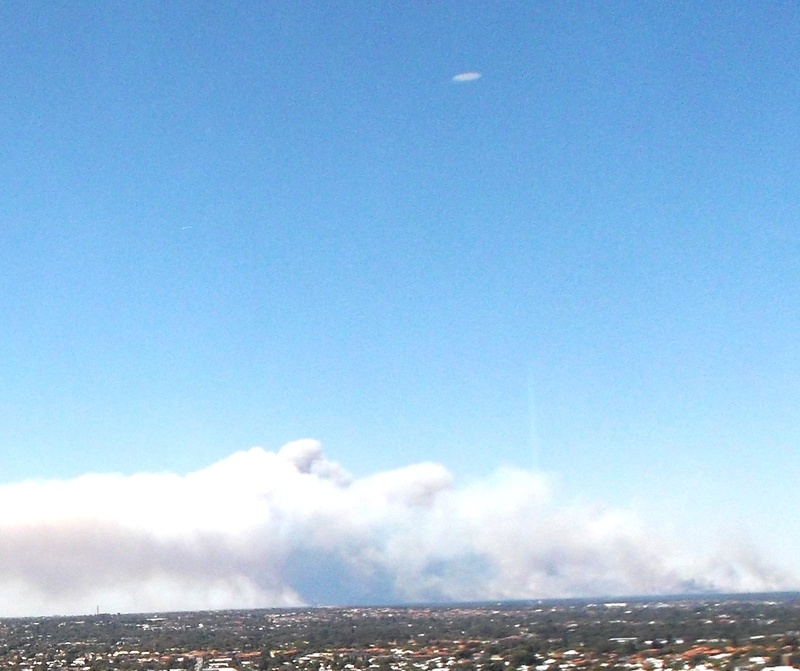 Shem Arua decloaked on January 10, 2015, on asking them to help contain a bushfire north of Perth. 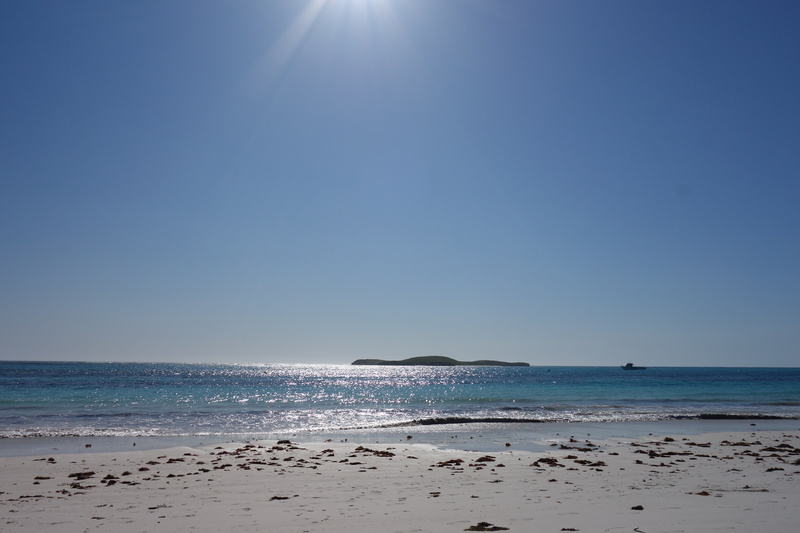 Recently, I’ve ‘revisited’ a lightship sighting my father and a family friend had together from a beach at a town named Bunbury, about 200kms south of Perth…on the 33rd parallel. My father was living in a township on the latitude of 33.26 at the time, and the beach where he and his friend had this experience (in the year 2000) is on the latitude 33.32, which adds to 11, number of the ‘doorway’ or ‘pillars of the portal’ energy. 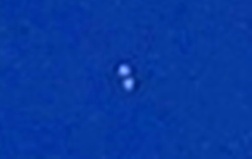 They saw a large white glowing light-sphere come from a distance across the ocean toward them, always at an even level above the water, stop stationary in front of them for some seconds, then move slowly back the way it had come and disappear. I’ve recently heard from a friend of another person who has had exactly the same experience more recently, from the same beach. 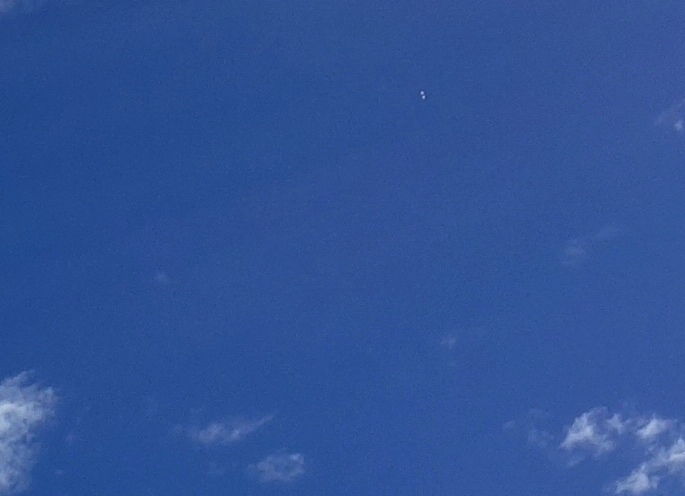 A few weeks ago, someone spoke to me of lightships they had seen from Capetown in South Africa, and another from Port Elizabeth. Both cities are on the 33rd parallel…so I’m beginning to appreciate why some people have dubbed the 33rd parallel south as the ‘UFO Highway’. 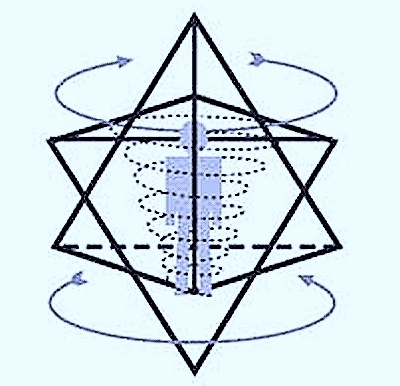 33 represents the two intersecting triangle of the Merkaba, or ‘lightbody’, which is symbolized by the Star of David, which corresponds to Metatron’s Cube, as seen below. 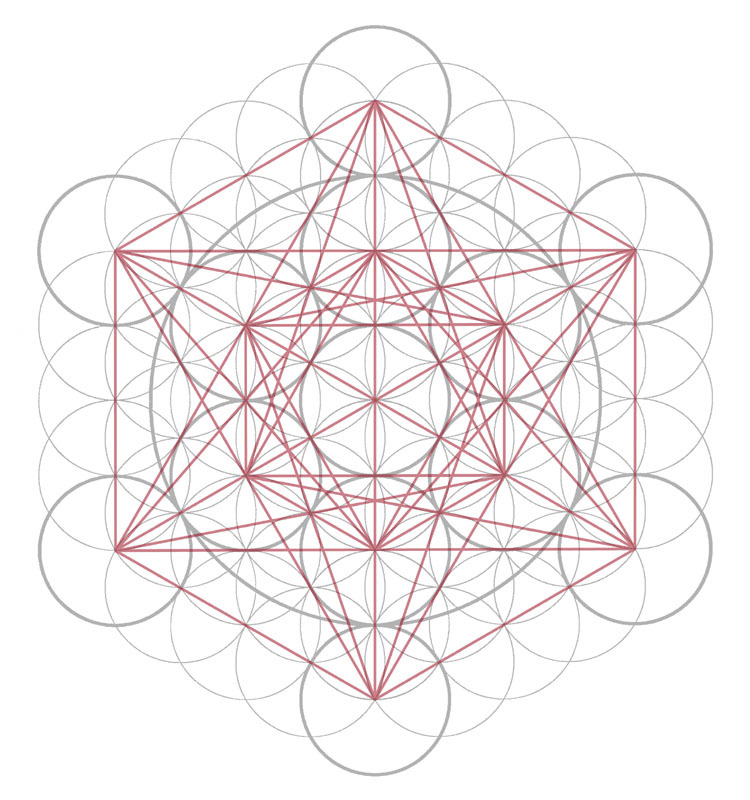 Metatron’s Cube, showing Star of David/Merkaba. 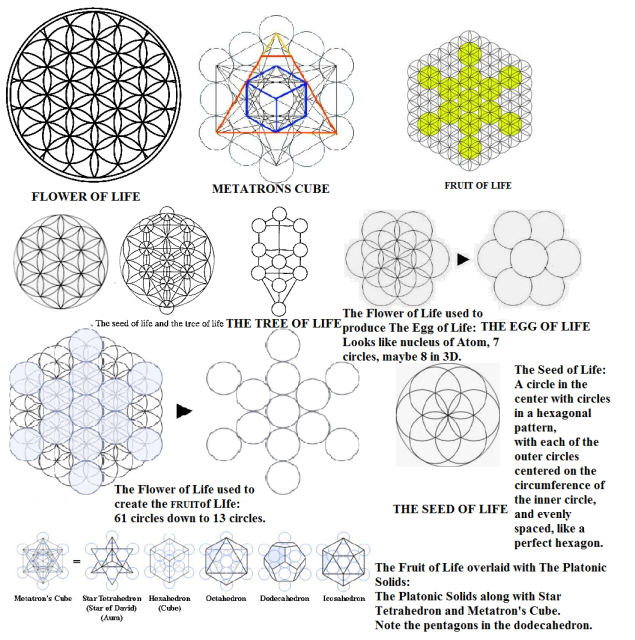 Very briefly, Metatron’s Cube is the universal template that contains, expresses, enfolds and unfolds into the geometric building blocks of life known as the Platonic Solids, the Flower of Life, Seed of Life, Egg of Life and Fruit of Life. (If you wish to explore the metaphysics of this further, I recommend Drunvalo Melchizedek’s book, The Ancient Secret of the Flower of Life). We can also assist the overall state of consciousness here by radiating the light of divine love from our own Merkaba into that of the whole planet, which I’ll share a visualization for below. Also, our star family of goodwill, who are guiding and helping with this Shift, have been putting in a lot of work to keep the spin of the planetary merkaba ‘up’, so that the incoming light flows don’t get pulled into stagnation. Last weekend, a group of light anchors incarnate on Earth aligned with star family, the Agarthans, and Gaia and her elemental beings to uplift and heal some specific ley line nodes – part of an ongoing process to restore the planetary higher dimensional blueprint, or ‘Goldenprint’, which is an expression of the golden harmonic/golden ratio, found in the Flower of Life and all associated sacred geometric templates. There are many beautiful beings in the higher dimensions who exemplify and uphold the universal template of golden harmonics. 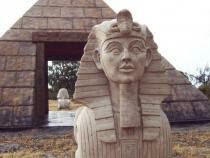 One of them well-known in Earth mythology is Heru-Ur, named Horus by the Greeks. 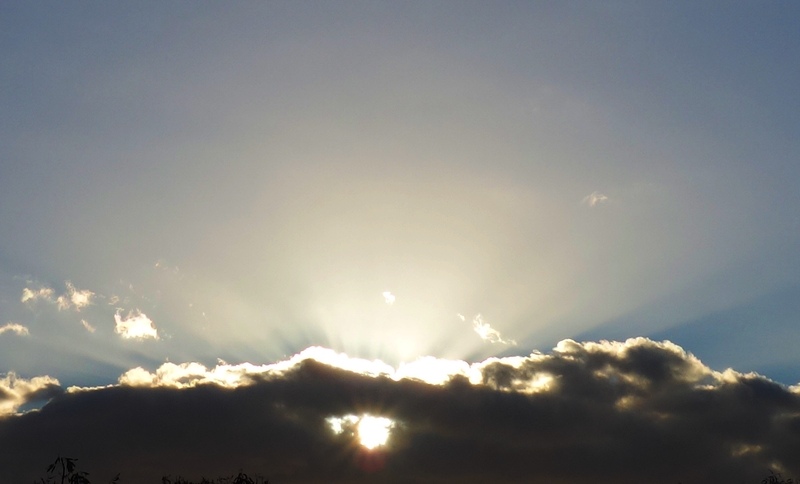 I have felt his presence strongly the last two months, and posted a photo in the previous post, of the Sun appearing like an ‘Eye of Horus’ through the clouds, as a ship flew up from behind/within the cloud. Sun makes an Eye of Horus symbol, August 12, 2016. 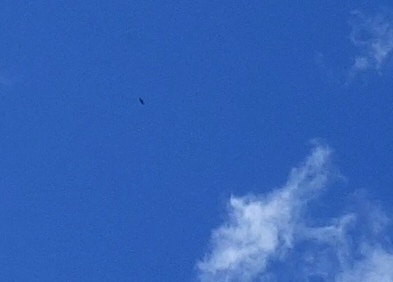 Last week, leading up to the node work, Heru-Ur’s presence came through very clearly, Firstly, a hawk appeared, circling overhead. 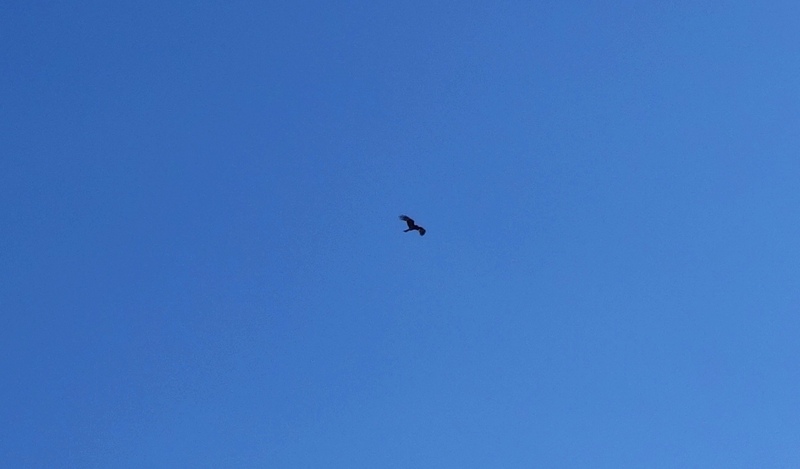 Following the hawk’s path as it angled toward the Sun, a lens flare appeared that was exactly the colours that had come through as guidance to use with healing the ley line nodes – white and violet merged within blue light. A golden light flashed in my inner eye, before taking this photo. Golden lightship appears above lens flare on August 25, 2016. 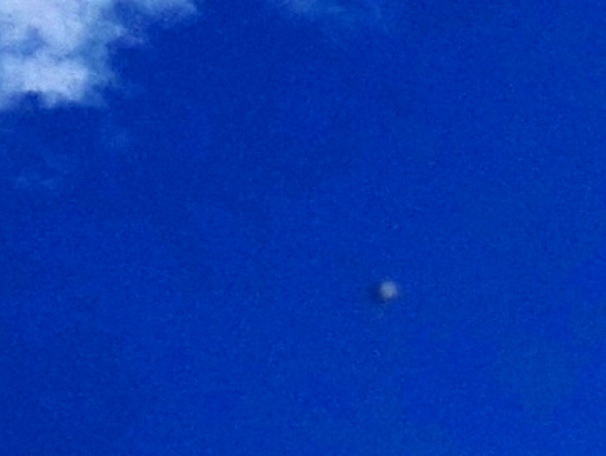 A spherical ship showed above the lens flare, soft golden in colour. 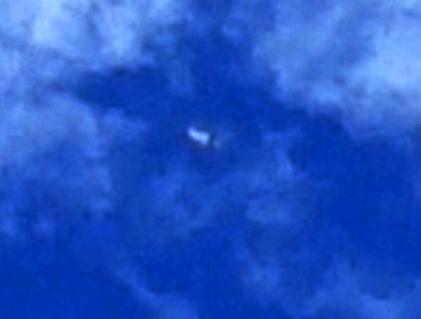 Enlargement of golden spherical ship, August 25, 2016. Many ships appeared at the same, silver and white, the clearest being an Arcturian ‘bow ship’, and silver-white ships I felt with Hyadeans, Aldebarans and Pleiadians – all from the Taurus constellation – on board. 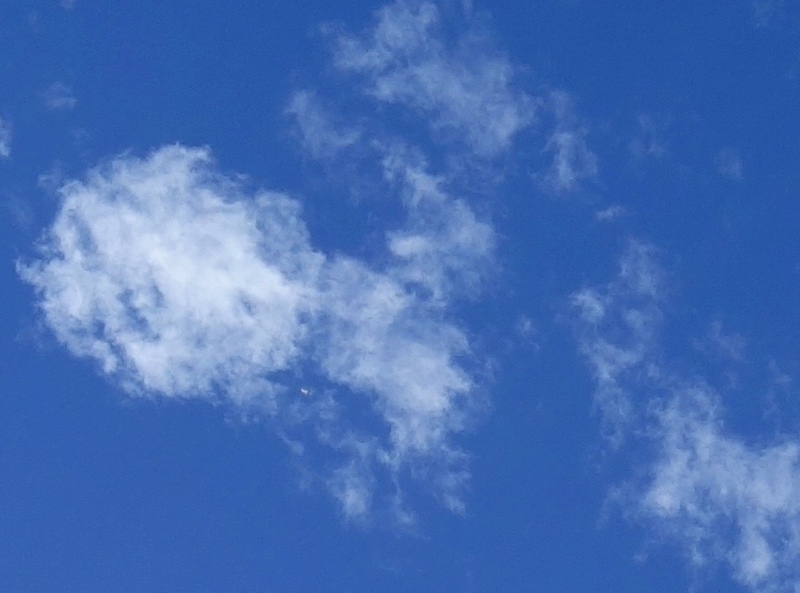 Here are the three clearest ships, with enlargements. Star family come with a request that for all who feel called in their hearts to do so, please use the Merkaba Practice below whenever you can through to September 9th and beyond – and especially on that day – as a way for any of you who resonate with this to assist with the ley line work currently underway and stabilizing of the planetary Merkaba (along with being excellent for your personal one), for which we all thank you! (September 9 = 9-9-2016 = 999, a powerful Angelic number and completion energy). Sit comfortably and focus into your heart centre-point with relaxed breathing. Connect yourself in love with Source and Gaia by envisioning yourself within a pillar of white light from Galactic Central Sun/Source Centre beaming down through your body and anchoring to the crystalline core of Gaia, so that you are well anchored to the Earth. Now take in three slow, deep breaths, and on each outbreath, say aloud your name, date of birth, and if you like, place of birth, which helps keep you focused into your on-Earth self. This will get your Merkaba (lightbody of two intersecting tetrahedra) spinning. The down-pointing (feminine) tetrahedron spins from right to left (counter-clockwise) and the up-pointing (masculine) tetrahedron spins left to right (clockwise), with the two crossing over and merging in the middle. (*If you’re in a female body; for a male the spins will be clockwise for the down-pointing tetrahedron and counter-clockwise for the up-pointing one). 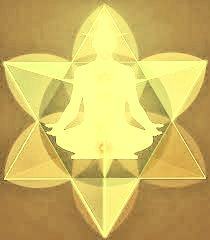 Set the intention for your Merkaba to spin at the highest available frequencies of Love and Light. Keeping your Merkaba in this high spin naturally keeps your energy field clear of distorted energies. Now visualize your merkaba filling with the blue light of truth, clarity and protection. 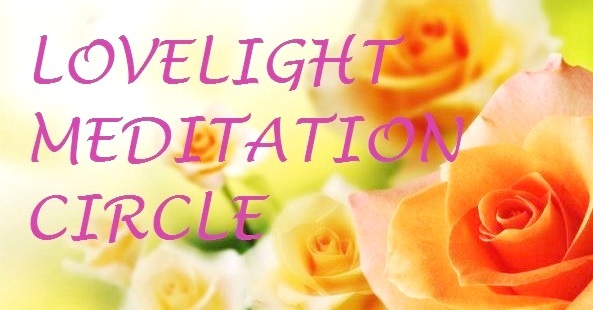 Then bring in the white light of purity and ascension, followed by the violet light of transformation. Feel this merged light within your spinning merkaba. 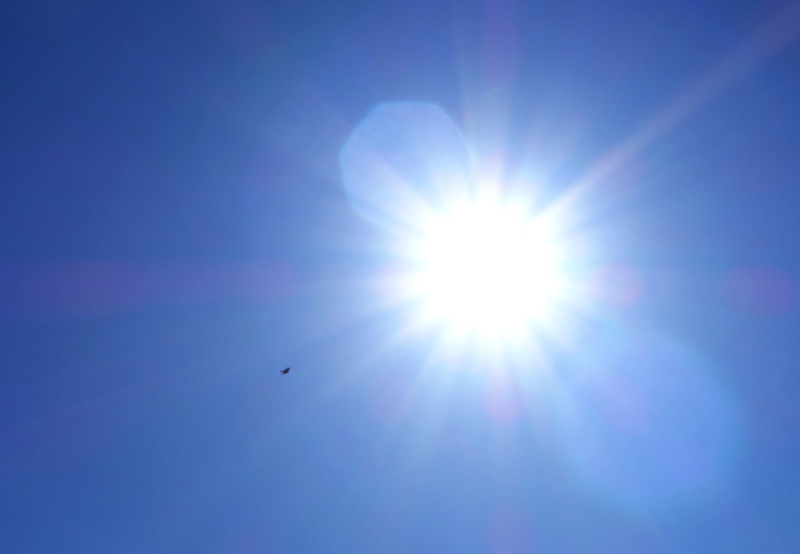 Now see this light radiating outward to fill the planetary merkaba, which you see/feel also spinning within the highest available frequencies. Relax into this beautiful feeling of oneness of your lightbody with Gaia’s lightbody. Finally, envision a brilliant golden Sun in your heart centre, then see it pulse out a golden ripple throughout your own merkaba, flowing out to fill the whole planetary merkaba. Hold the intention for the ‘goldenprint’ of Gaia to be resurrected and restored in perfect equilibrium, in pure divine alignment with Source, with the greatest joy. And so it IS.